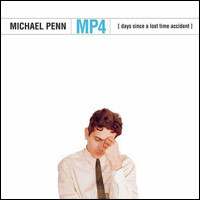 Michael Penn waited only three years to put out his fourth album, 2000’s MP4 (Days Since a Lost Time Accident). And I hate to be redundant, but it’s another winner along the same lines of the three winners before it. If there’s a criticism to be made of Penn, I suppose it would be that he doesn’t cover much new ground. He’s been crafting the same brand of smart pop music for 20 years now. But when the results are this good, I find it hard to paint that as a negative. The circumstances surrounding my first two Michael Penn albums — a very timely and special gift on the one hand, and the soundtrack to a key period of my life on the other — pretty much solidified me as a fan for life. 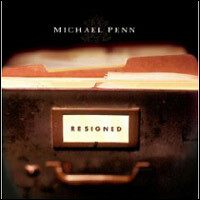 So it was with great anticipation that I purchased Penn’s third album, Resigned, in 1997. Again, he didn’t disappoint. I’ve already called Free-For-All his best album and pointed out that March is right up there with it. Well, Resigned is a challenger to that throne as well. In fact, it would probably be the hands-down winner if I had the sort of positive connotations with it that I do for the other two albums. Nearly 20 years ago, back when I received new music from my sister and brother-in-law rather than the other way around, I was gifted two CDs as a high school graduation present. 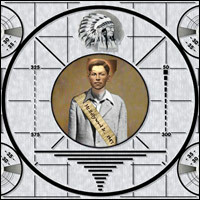 One was Elvis Costello’s King of America. 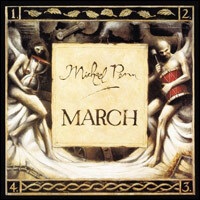 The other was Michael Penn’s March. The Costello album triggered an appreciation bordering on obsession that continues to this day. 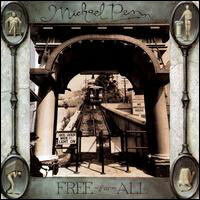 In light of that, it’s easy to dismiss the Michael Penn album as the less important or meaningful gift. But on the contrary, it too sparked an ongoing admiration for one of music’s most underrated artists. My second Beatles cover of the week comes courtesy of the I Am Sam soundtrack. I never saw that film but apparently the whole thing was scored with Beatles songs performed by other artists, including Ben Folds, Rufus Wainwright, The Wallflowers, Sarah McLachlan and plenty more. I Am Sam, of course, is also the film in which Sean Penn made the mistake of going “full retard,” something no actor should do according to Robert Downey Jr.’s character in Tropic Thunder. God, that was a funny movie.